I love a sense of completion. I will work myself past midnight to finish what I started, and it bugs me when I can't. Today, I'm letting go of my love for completion. But I'm not pretending it's easy. God's teaching me to welcome interruptions in my plans to make room for His divine purposes. He had some unexpected but very special assignments for me today. So, I didn't get to finish what I started in the post I'd planned. I'll be posting it Friday. Also I'll be announcing the winner from Monday's "Getting & Staying Organized" girlfriend quest. And I'll be sharing "Fridays Give-Away"! Today, I wanted to shaer part of a devotion that ties in perfectly with what we've been discussing. It's by my good friend and Friday's guest Glynnis Whitwer. At the end, I'll tell you how to get another chance to win something over 100 of you wanted last week! My first instinct was to leave the clean, folded clothes on top of the dresser. Granted, my arms were filled with freshly laundered items, so it would have been difficult to open the drawer while balancing the stack. I had an excuse for leaving them on top. Didn't I? Instead, I pushed past my instinct, took 30 more seconds, and placed the clothes neatly in the drawer. This tendency to not complete a task happens with surprising regularity. I toss my bathrobe on the bed, drape jeans on the tub, and set the television remote on the nearest counter top. However, sometimes, when I'm a bit more self-aware, I take the few extra steps needed to actually finish the task. 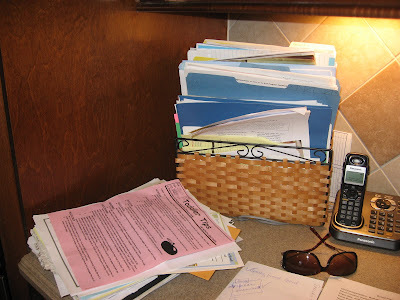 Years ago, I realized my practice of stopping short of finishing what I started, led to a cluttered home and office. Back then, I had a multitude of unfinished tasks that I just lived with. It wasn't all simple things like putting away clothes, but included larger tasks like leaving a wall half painted. Starting a project is fun, and usually involves a burst of energy. Then, that energy wanes as I approach the finish line. Instead of pushing to complete the task, assignment or project with excellence, I lean towards settling for good enough. Unfortunately, when I settle for "good enough" consistently, I learn to live with mediocrity. And accepting mediocrity is far from where God wants me to be. You see, finishing what we start is more than a good organizational or home management skill. It's also a spiritual discipline. Interestingly, it's actually been somewhat simple to address this issue. I admit the tendency within myself to settle, and I get firm with myself about it. Now, when I would prefer to leave the dryer full of clothes, or emails half typed, I say to myself, "Finish what you start." I make a conscientious decision to finish the task at hand before I move on to something new. Obviously, there are some projects that require more effort, but this works on a lot of my issues. I'm not sure of all the reasons for stopping short of finishing with excellence, but I do know the results. I end up with a bunch of unfulfilled commitments, open loops and shallow relationships. That's a far cry from the life Jesus came to bring, which is full and abundant. Not a partial life, but one lived with pushing to the limits and exploring the outer reaches. Maybe that seems a deep principle to pull from putting clothes in a drawer or a dirty bowl in the dishwasher. However, the discipline of finishing well is one that is woven through my life … or it's not. So I guess I'll take the extra step and actually hang up my robe. It's one more stitch in this tapestry of finishing well that God is trying to create in my life. Dear Lord, thank You for demonstrating finishing well through the life of Jesus. Please help me push through mediocrity in my life and explore the fullness You long to bring. In Jesus' Name, Amen. Do you have a need for completion? Do you ever have a hard time finishing what you started? If so, what derails you? What are the most common things you leave undone? 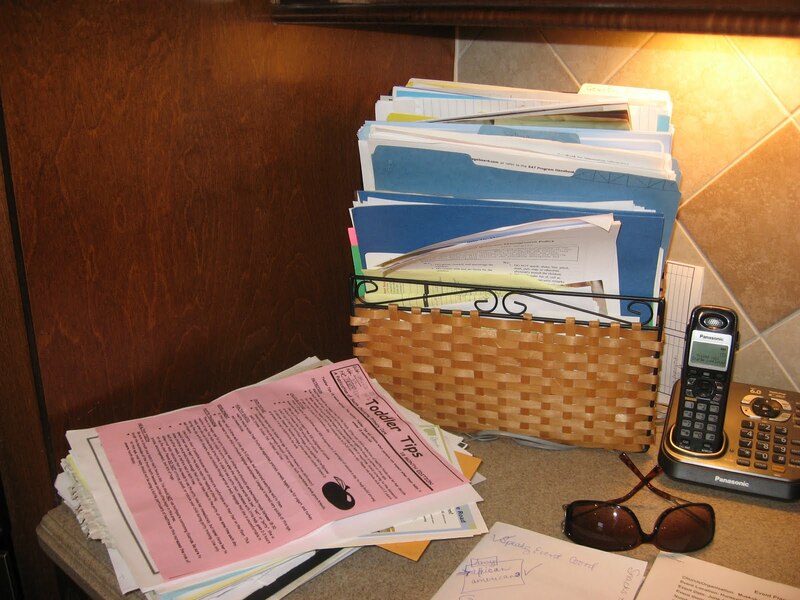 Mine is organizing my messy places and not putting papers away. Also, my closet can get a little crazy when I don't pick up my robe or my pj's, or my sweat pants. Share yours and you'll be entered along with the others from Monday's post to win Karen's book "The Complete Guide to Getting and Staying Organized", and some organizational pretties. See you back here on Friday! I posted something short earlier, but God's been nudging me to come back and invite you to be part of something He's laid on my heart. If you knew that having more order in your home would bring more order to your world - freeing up your time, emotions, thougths and spiritual gifts to do what God's called you to do - would you make it a priority? 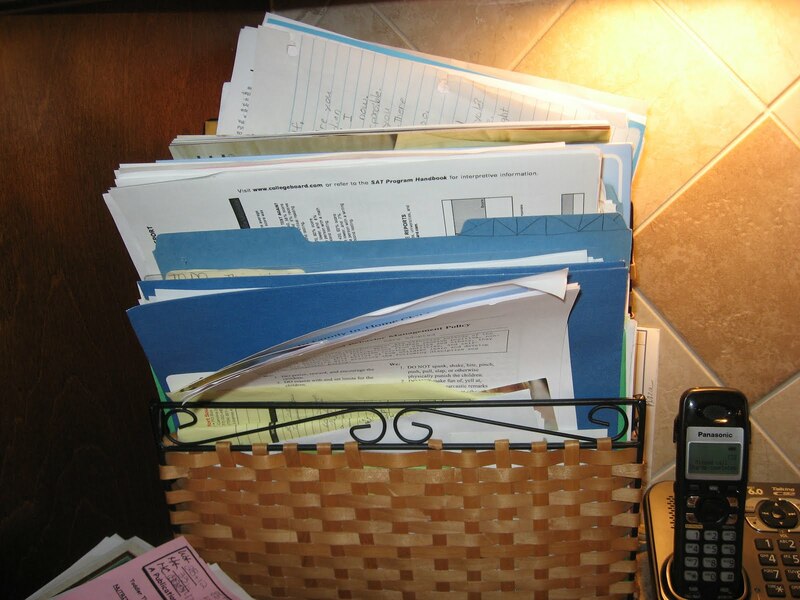 If you knew it was actually possible, would you take some small steps towards getting and staying organized? 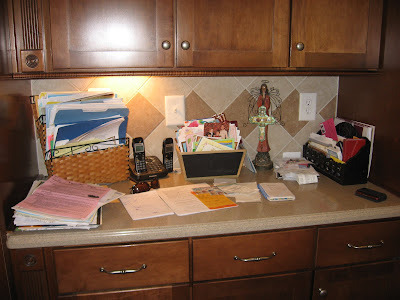 After posting confessions of my cluttered counter tops, closets and cabinets, I worked for a few hours on the mess in my nest. And, I feel like I've lost 10 mental pounds! The feeling of freedom that followed my progress is amazing. I promise to post photos later this week of my "before and after." Today God reminded me of 1 Corinthians 14:33, "For God is not a God of disorder but of peace." In the context of this verse, Paul is talking about order in the church. But in the context of our lives this truth also applies. Order is part of God's character and peace is the promised fruit of His spirit. 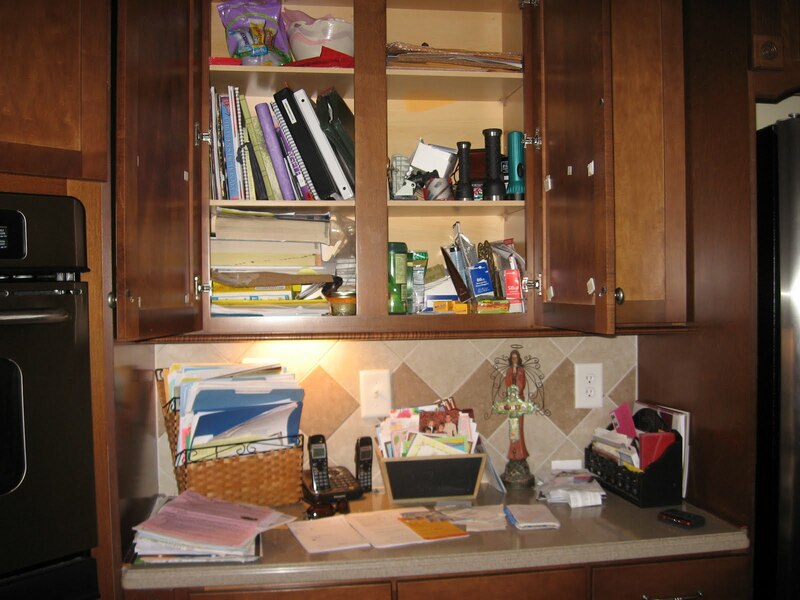 When you see your organizationally challenged areas, do you feel a sense of peace or defeat? Do you get all irritated inside? Does your life start to feel out of control when you think about what you need to do to get organized but feel like you have no time to do it? Can I encourage you to give yourself the gift of bringing a little order to your world. A little peace to your heart and home. I want to gather some girlfriends to encourage and pray for each other this week, and commit together to tackle one of our organizational challenges. Will you join me? And because we all need some incentive, I'm giving away another copy of Karen's book "The Complete Guide to Getting and Staying Organized", and some organizational pretties! If you want to join in this quest, click on the word "Comments" at the end of this post and tell me what one area will you give an hour or so to this week. Your commitment will qualify you for the give-away. And will you pray for the person who leaves a comment right before yours? I'll leave the first one. Then for a second chance to win, click here and get the encouragement you need to finish what you start. On Friday, I have another P31 friend and author who is writing a book called, "I Used to Be So Organized" who is going to stop by to encourage, pray for and help us with some very practical ideas! And I'm working on having my before & after photos up then, too. I have a few places in my sidebar where you can stay connected via Google connect or Facebook, and sign up for email updates. By the way, I love having you along! Thank you so much to ALL 115 of you who left a comment on Friday's Give-away. Your transparency about your struggles with being unorganized really meant a lot to me and others. Oh how I wish I could give each of you a copy of Karen's book - "The Complete Guide to Getting and Staying Organized"! Since I can't, I hope you'll get a copy on sale somewhere or ask your library to carry it! And now... Congratulations to "Anonymous" at 10:20am. 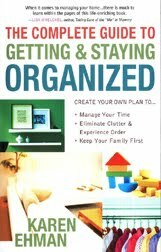 You are the winner of "The Complete Guide to Getting and Staying Organized", a $10 Target gift card and a box of chocolates. I've got your email so I'll be contacting you to find out your mailing address. 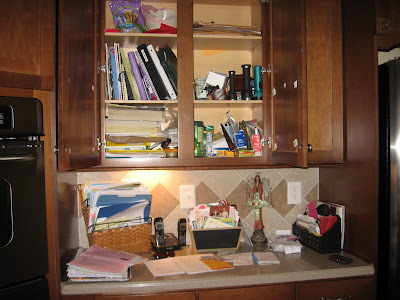 This is one of the most unorganized areas in my house that makes me crazy! My head feels cluttered just looking at it, wondering what is buried in there. This counter top is the catch all for everything - mail, bills, receipts, school papers, phones, grocery lists, forms, broken things that need to be glued back together, etc. This is a box-thingy to hold Christmas cards. Look closely and you'll see the word "Merry" written on the little chalkboard front. I erased it and started adding other things with the Christmas cards. 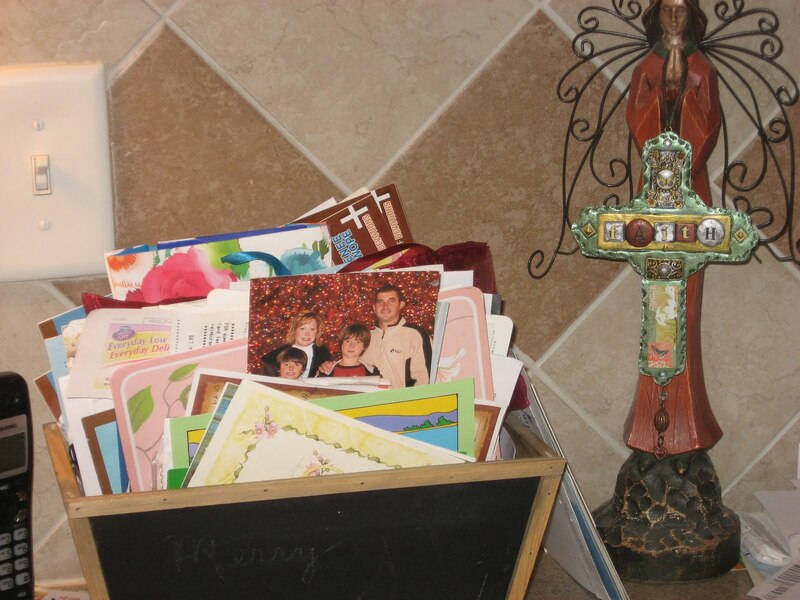 Yes, there are still some Christmas cards in there from 2009. There's even an old Christmas photo of our family from 2008. I have no idea why it's there. I think I took it with us to Great Clips to show how I wanted my boys' hair cut, and then I stuck the photo in the box with the old Christmas cards and who knows what else. This is a pile of receipts and smaller papers I want to save. Some receipts include business expenses, some have items on there I might want to return, others are notes or something. Then there are coupons in that stack and other important pieces of paper that I'm going to go through one day when I have nothing to do. I love my cute black wooden organizer thing to the right that I have stuffed full with items that won''t fit in the converted Christmas-card-holder box. If only I could see and enjoy it's potential to be a pretty organizer. To the left of all that mess we have more papers. As you can see, I'm also a piler not a filer. Well maybe I'm a wanna-be filer. You can see I have a wicker filer thingy with files in it. It's just a little full with overstuffed files from all my piles. Oh, and then there is the cabinet above all my piles and overstuffed files. 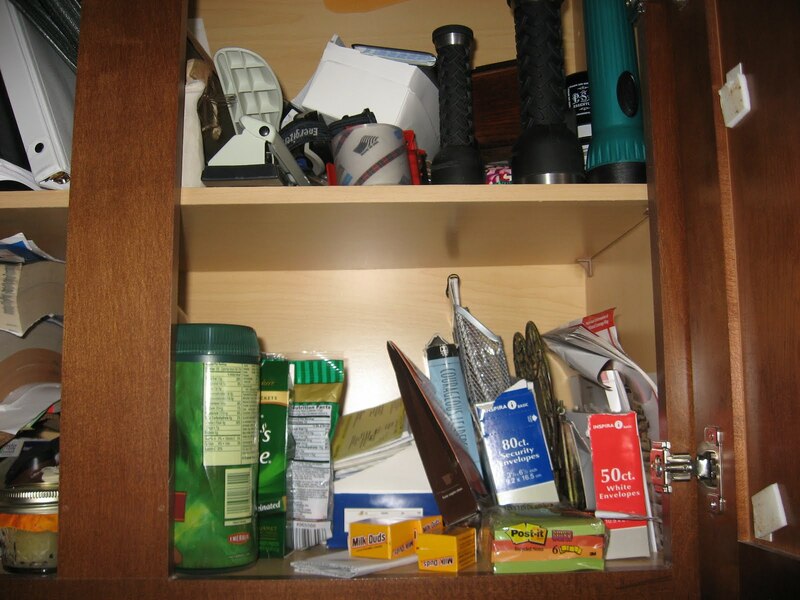 This is where I hide things like milk duds and cocoa covered almonds along with flashlights, post it notes I don't want my kids to use, boxes of check refills and envelopes. We stuff things in there that we don't want to lose in the organized mess below. We'll now that I've confessed my mess-i-ness, I feel better. Actually, I don't. I've got to do something about this. It frustrates me. It makes me feel all cluttered inside. It's been like this for almost a year. And no one is going to do anything about it but me. It doesn't bother my guys, but it drives me bonkers. So, I've decided after taking these photos that it's time to say "no" to something or someone else so that I can say "yes" to organizing my mess. I'll keep you posted. And I'll be back Monday afternoon to show you my progress and announce the winner of "The Complete Guide to Getting and Staying Organized", a $10 Target gift card and a box of chocolates! Have you ever pictured what your week was going to look like but when you got to Friday you wondered what happened? That's me this week. I had so many plans and projects. I'd even written a few blog posts - in my head. And somewhere in my posts, I was going to drop a hint or two about my Friday Give-Away! Like Forest Gump explained so many years ago, life really is like a box of chocolates. You never know what you're gonna get. This week, I didn't get what I hoped for. I'm still trying to figure out what happened. I don't know if I had too many things to do, or if I didn't organize my time and my to-dos well. Although I got a lot done, I didn't complete all I needed and wanted to accomplish. Ever since summer ended and school started, I've felt like I'm trying to catch up and like it's not going to happen any time soon. 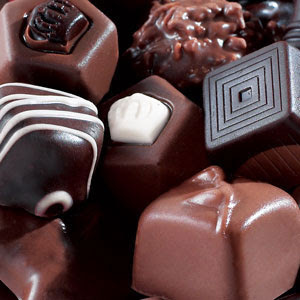 Honestly, I feel like my life's chocolates are melting, and I'm not enjoying them as much as I'd like to. It's kind of ironic. Me needing help organizing my time and my life. You see, it fits perfectly with my Friday Give-Away, and I wasn't even trying to drop hints. 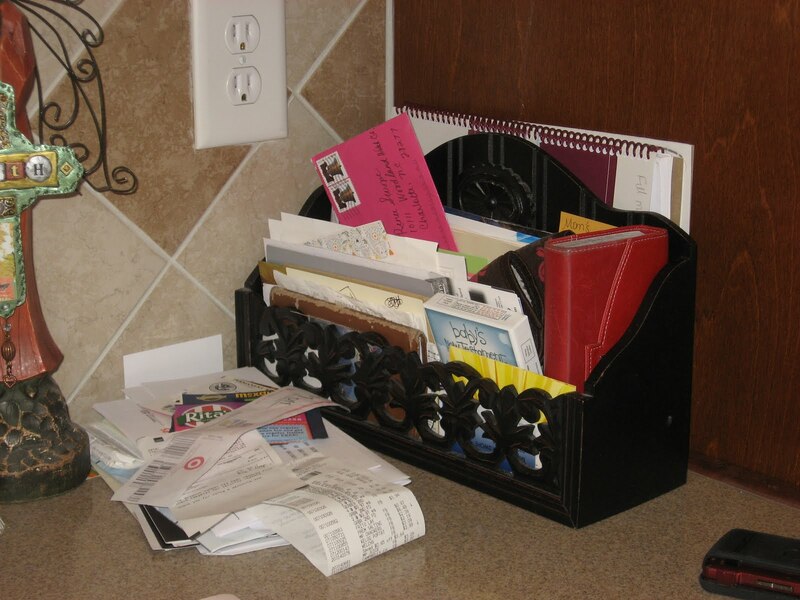 Today's give-away is all about getting organized by making the most of the time and tasks God has given each of us! 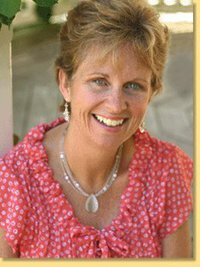 I'd like to introduce you to my good friend, Karen Ehman, who is the author of "The Complete Guide to Getting and Staying Organized". You will have a chance to win her book, a $10 gift card to buy some time-saving, life-organizing tools from Target and a box of chocolates in today's give-away! Even though organizing my "stuff" and managing my time came pretty naturally for me, I was completely thrown for a loop when I became a mom. It is one thing to get all your ducks in a row. It is quite another to keep them that way when you have a family. Just as soon as you line them up, along comes one of your kiddos (or your hubby!) knocking them all down again! I wrote this book to walk alongside other women, helping them to understand their unique situation--their season of life, the stage of their kids, their personality type--all of those components that go into finding an organizing style that "fits" them. Then from there, I help them set the bar where they want it set. Karen, what is unique about your book? I don't offer a one–size–fits–all method because I'm convinced we all view success in organizing differently. One gal may HATE a junk drawer with an assortment of items tossed in. Another thinks such a drawer is a staple of life. The second gal might really be driven nuts by dust, but not by clutter such as unfolded, clean laundry. On the other hand, her friend might not mind a thin layer of dust on her furniture but cannot stand having unfolded laundry in view. This book helps gals decide what organization looks like to them and then helps them to get there. Also, being a women who manages her time well and organizes her home and office isn't an end in itself. It has to be about something more. I like to teach women how to take care of the 'have tos' of life--the cleaning, menu planning, grocery shopping, laundry, errand-running and such, so they can actually get around to the 'want tos' of life---connecting with God, spending time with their husbands and kids, hanging out with that friend or pursuing that passion. This book helps them get there! What will women gain from reading your book? Getting and staying organized means more time for the important things in family life—concentrating on cultivating a close, personal relationship with the Creator, drawing His word into every aspect of living, and ultimately tying their children’s heartstrings to God. If you would like to win a copy of "The Complete Guide to Getting and Staying Organized", a $10 Target gift card and a box of chocolates, today's your day! You can enter to win by clicking on the word "comments" below and let me know your biggest organizational challenge. I'll share mine on Monday with some photos. I'll also be back later to list some other give-aways and links below this post so you can visit and enter to win other Friday Give-aways over the weekend. If you would like two chances to win, leave a comment and a link to any give-aways you know about that go through the weekend. I'll be back Monday to announce my winner and share my biggest personal organizational challenge. After you enter to win by leaving your name, email so I can reach you if you win, and your organizational challenge by clicking on the word "comments below, be sure to visit Karen's blog where she's also giving away a copy of her book as well as a $10 Target gift card and some dark chocolates! Congratulations! You have won an autographed copy of Max Lucado’s Outlive Your Life from michaelhyatt.com. I hope you enjoy this incredible book! I just received an email with those words!! I'm so excited. I can't remember the last time I won something. I have a feeling I'm going to love this book and want to give a copy to one of you soon! 1. I will list links to any website or blog give-aways I know about. 2. I will also announce a personal give-away here each Friday. It may be big, small, fun, fabulous, sweet or simple. It will depend on my budget and generous donors like you :->. 3. I'd love for you to share the linky- love by listing a link to a give-away you know of that I haven't listed. 4. You'll get 1 chance to win by simply leaving your name in a comment. 5. You'll get 2 chances to win by leaving your name and a link to a give-away you're doing or one you know of. 6. I'd love to highlight one of your blogs and give-aways from time to time! If your ministry, business or favorite store wants to offer a give-away on my front page, email reneesgiveaways@gmail.com for guidelines. Please put "GIVE AWAY FRIDAY" in the subject line (very important), and we'll send you details. Amy Carroll has a passion to mentor other speakers. Recently she started Next Step Speaker Development Services with Karen Ehman. Click here to see details about a contest they are doing. One person will win the service of their choice for free, valued at $195!!! Rachel Olsen is getting ready to start a Devotional Carnival and you can be part of it. If you write a devotion and link to it from her blog, you could win a copy of her new book, It’s No Secret: Revealing Divine Truths Every Woman Should Know. Lysa TerKeurst has a guest post by pastor and author, Steven Furtick. I was speechless after reading it. I can't wait to get a copy of his new book, Sun Stand Still. You can read his amazing blog post and enter to win by clicking here. Suzie Eller is answering God's challenge to try to out give Him. She was giving away 10 copies of her book, The Mom I Want to Be: Rising Above Your Past to Give Your Kids a Great Future. But then she heard God whisper that He wanted her to give away 100 COPIES! Click here to read about it and enter to win. I really hope you will visit all these great sites and enter to win, so I won't open comments today. I'll launch my personal Friday Give-Away next week, and blog posts leading up to that day will have hints of what my first give-away will be. To make sure you don't miss a Friday Give-away, you can "enter your email address" in the little white box where it says that in my sidebar. It's under my NetworkedBlog box and above my cheeta prayer button for Lisa. If you enter your email address, you'll receive a reminder in your email inbox. I grew up with a lot of fears. Fear of abandonment. Fear of rejection. Fear of failure. Fear of my mom dying. Fear of flying. Fear of being raped. I carried the habit of fear with me into motherhood. I was one controlling little mama when my babies came along. But now my baby boys are growing up, and I've had to loosen my grip. I've had to trust Jesus and others to keep them in their care. By God's grace I've been set free from the spirit of fear. But I still feel afraid sometimes. One of my biggest fears is that one of my children will be sexually abused. Even worse, that it will happen and I won't know it. I've done all I know to teach them how to recognize a predator. To convince them they can come to me and JJ no matter what and tell us if something happens. To assure them that no matter what we will believe them and protect them. It could just be the evening news that has me scared. But I think it's more. It's personal. Someone I love has been sexually molested and never told his family until he was in his thirties. For 20 years he numbed the pain with drugs and alcohol. Several of my closest friends were sexually abused and never told their parents until many years later. I have reason to be concerned, but I cannot allow fear to paralyze me. I can pray. I can talk to my kids, and I can learn from others who know more than I do. Women and men who have been abused. Women and men who have taken their pain and become conduits of hope and healing. "Healing from sexual abuse (and all sorts of other difficult issues) never comes in isolation. It comes in the warmth and circle of trustworthy friends and adults. It comes by crying and sharing your story with safe people. It comes from Jesus who knows what it’s like to be naked on a cross. I’ve experienced that healing in every possible way. I pray, too, that you’ll start down that path. Dare to let out what’s bottled up inside you." If you want me to, I'd love to pray for you by name today. Simply leave your name by clicking the word "comments" below and type your name in the white box. You don't have to leave any details if you don't want to. 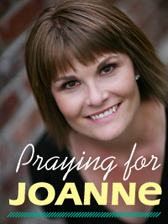 Then I hope you'll visit Lynn's blog to meet Mary and let her words wash over your soul today. Simply Click here. I'm running on fumes this morning, practicing my scripts for Proverbs 31 Ministries Radio recording that starts in an hour and getting the kids settled before I go. I woke up at 3am after a horrible nightmare that someone abducted Aster and we could not find her. I couldn't even breathe to get the words out to tell people where to look for her. It was horrible! When I woke up my heart was racing and I couldn't get back to sleep. I went upstairs to check on her two times because I just needed to see and touch her. Praying over her comforted my heart. This morning I am asking Jesus to replace my fumes with His Holy fuel. I don't know about you, but I can't do anything in my own strength on a few hours of sleep. My weary heart is searching for strength. I need the kind that is made perfect in my weakness. And I am so thankful that, in Christ, I find it. When I am weak He say's He will be strong. I keep thinking of Paul's words, "To this end I labor, struggling with all (Christ') energy, which so powerfully works in me." (Colossians 1:29) Even Paul struggled, but this verse tells us he depended on Christ in him, through the power of the Holy Spirit, to do what he could not do. So, I'm wondering as I write this... is there something hard that is happening in your life or in your day that might be the very thing God is using to show you how to rely more on Him? Is there an area where you don't have enough, that He might want to be your enough? Instead of resisting, or trying harder, will you ask Jesus to fill in a gap and be what you cannot be, or give what you don't have today? I've come face to face, again today, with the fact that I can't do it without him, and I don't even want to try. Let me know how I can pray for you. I would love to! "And Esther won the favor of everyone who saw her." 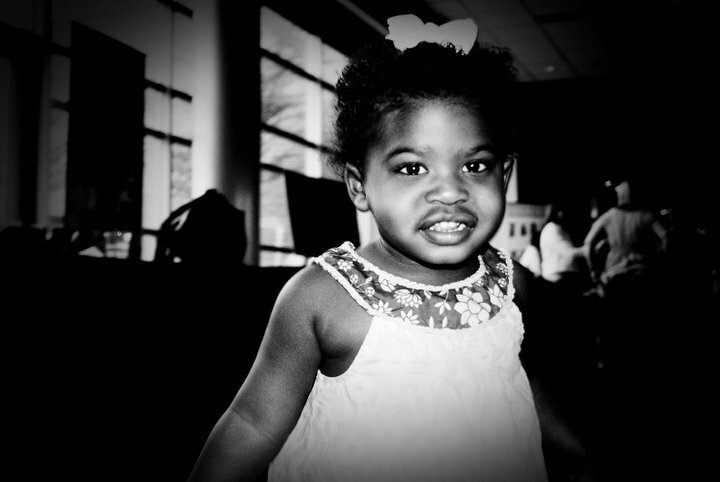 Lord, thank you for my beautiful daughter whose heart radiates Your joy and love. May her beauty increase each day from the inside out as she comes to know the personal love and pursuit of Jesus. I pray she will always know that her King is enthralled with her beauty. Thank You for the gift of being her mother and the way You change me every day through her. May we both know You more and more as we witness together the unfolding of Your love story in her life. In Jesus Name, amen.